Master Noho Miyagi arrived in the United States (Hayward California) receiving warm welcome from the Japanese American community and Ohtori No Kai USA. Everyone including media from Fuji TV to Nichibei Times covered his visit. Master Noho Miyagi is a protected National Treasure of Okinawa, hence his arrival was a closely watched event by the government. 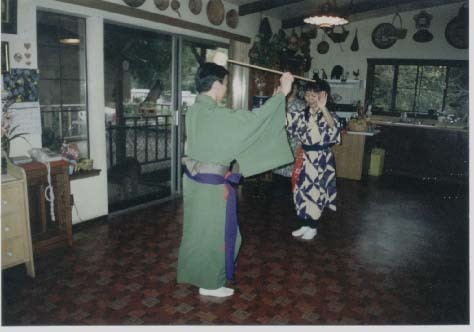 For this rare visit, Master Noho Miyagi teaches student Yuka Arakaki one of his coveted dances. Only a few people are allowed to create dances and be recognized by the Japanese government. 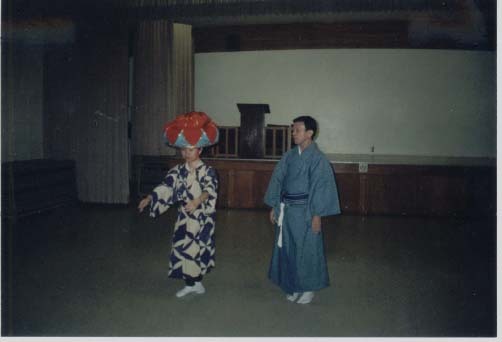 With a strong cultural heritage, Noho Miyagi Ryu style dance will remain strong for years to come. Both Master Noriyoshi Arakaki and Master Noho Miyagi work very hard in providing us with a touch of living history.